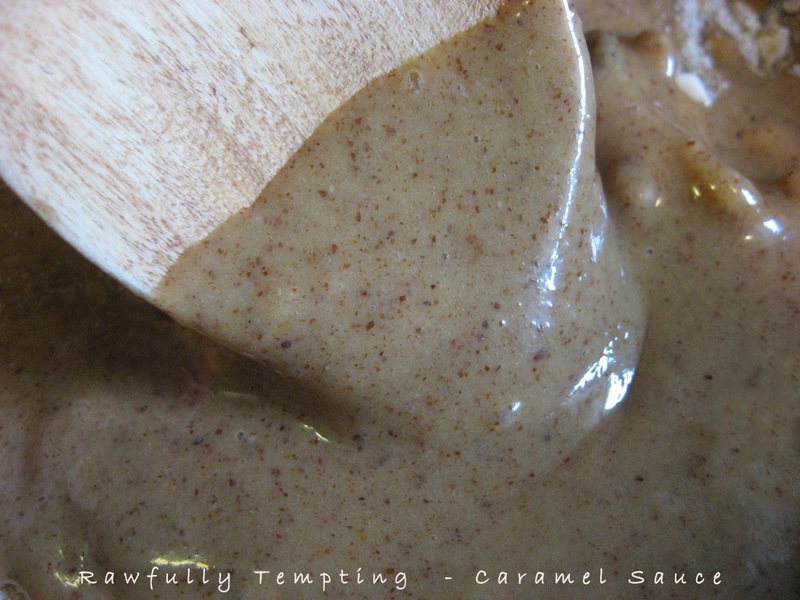 This sauce is very reminiscent of caramel topping that I used to love to drizzle over ice cream sundaes. I've recreated this luscious topping and have used it on brownies, granola bars, cookies, raw ice cream...or just licked it off the spoon. If you want the sauce to stay liquid, follow directions below. If you want it to be more solid when it dries, add melted cacao butter to recipe, apply to dessert, and let chill. This is on the sweeter side. Adjust your sweetener as needed. Mix ingredients in blender, until creamy. If using cacao butter, melt on double boiler and blend into mixture. Pour into piping bag or spread, drizzle, apply to your favorite dessert recipe. 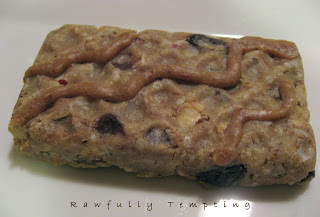 Caramel Sauce drizzled over Energy Bars and dehydrated. *Mention "Rawfully Tempting" in Shipping Comments and Medicine Flower will send a Special Bonus Sample. This sounds great. I've not been able to locate lucuma. How necessary is it in this recipe? Can you recommend a place on the Internet to purchase it? Thanks!